on to make your home extremely appealing to buyers. to sell their home for top dollar. yard look like a buyer’s paradise. your home. No mumbo jumbo here! Have you been trying to sell your home and just keep bumping into walls? Download this free report now and learn the process of getting your house on the market and sold quickly. 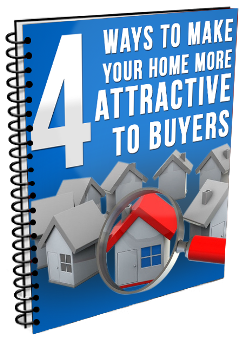 This report will give you educational materials that will lead into completing the most lucrative projects to make your home more marketable. There are no strings attached to this guide. It is completely FREE! Take a moment to browse through, and if you decide you don’t like it, you’re out of nothing but a little time. Simply input your email information, and you will instantly be able to access this free information. You can view it online, or download it to your PC for further use. Enter Your Email Below And The Click The Yellow Button For Instant Access!